The warming climate towards the end of the last glacial maximum resulted in previously open regions of Europe becoming forest. This not only meant that many of the food animals once hunted disappeared and were replaced by new species, but also that the game available became harder to find. 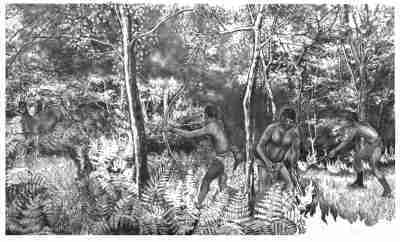 It is believed that hunters may have resorted at times to firing the woodlands to create clearings and tracts of land where hunting might be easier.